Great Rates Available – Insurance for Couriers in Ohio! If you need commercial insurance for couriers in Ohio, Michigan, Kentucky, or Indiana you have found the right company. 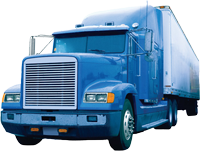 We offer both commercial auto and trucking insurance, general liability and cargo coverage for your company. 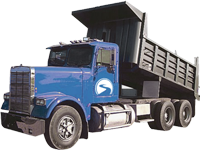 Pathway Insurance offers insurance for couriers directly in four states and in addition quotes for commercial courier insurance in 50 states. Call 1-800-998-0662 or send a request for a quote to us online when you choose: Courier Insurance Ohio. A Common Mistake Made on Courier Insurance in Ohio. Not purchasing Ohio delivery insurance from a company specializing in courier insurance! Some companies offering delivery services will contract their work out or require their employees to use their personal vehicles to deliver small packages and parcels. To protect yourself financially you need to purchase Ohio couriers insurance. What happens when you fail to purchase commercial auto insurance and you have an accident in your vehicle making a delivery? You will receive a claim denial by your personal insurance company and all claims including injuries or property damage you cause will be paid by yourself in most instances. Personal Car Insurance Policies Exclude Coverage for Couriers. This particular exclusion for coverage for those engaged in any type of delivery is found in the fine print of most insurance companies. We have never discovered a company willing to insure couriers on a personal car insurance policy. For this reason you should purchase Ohio Courier insurance. Affordable Courier Insurance in Ohio Is Only One Phone Call Away. 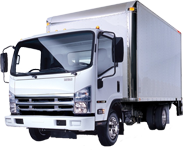 We can help you find a commercial auto policy suitable for your needs as a courier. Call 1-800-998-0662 for quotes and coverage or click on Delivery Insurance Ohio to submit your request for an insurance quote.